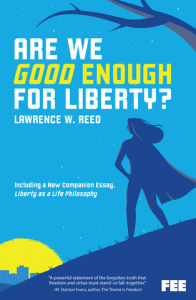 Author’s Note: In a previous essay, I challenged my readers to ask themselves, “Are we good enough for liberty?” In the following piece, I will ask a second question that is the other side of the same precious coin: do we believe in liberty enough to be good? In other words, will you treat the ideas of liberty as mere fodder for political posturing and internet debates? Or do you love liberty enough to embrace it as a life philosophy? The future of freedom hinges on the answer to that question, so please read on! FEE’s eminent founder, Leonard E. Read, often opined that it was the duty of every lover of liberty to introduce it to others “as a life philosophy.” It’s a phrase we at FEE still use today, and every day. We’re able to preach it with conviction because we practice it with passion. What does it mean to regard liberty as “a life philosophy”? First, allow me to offer a few words about what it doesn’t mean. If liberty is your life philosophy, you’re not its fair-weather friend. You stick with it in good times and bad because its fundamental virtues are independent of what others think of it. Its truth rests on its inherent merit, not on shifting perceptions. Its immediate prospects for success may fluctuate, but your commitment to it shouldn’t. Furthermore, if your speech, tactics, or behavior conflict with liberty’s high standards—if you’re turning people off to it instead of winning them over—then you’re defeating one of the main purposes of possessing it as a life philosophy in the first place. It ought to be something so lofty and universal that you’re proud to live it and delighted when others choose to do so too. If you were to choose today the epitaph that will appear on your headstone after you’re gone, which one from these two lists would you pick? Or perhaps the better question is, which one most accurately describes you? A life philosophy is neither superficial nor fleeting. You don’t embrace it because it’s convenient or fashionable or even profitable. It’s deeper, more holistic and lasting than that. It ought to be rooted in ideas and conduct that are right, relevant, and uplifting. It should cause you to be remembered someday as a man or woman whose consistency and example gave the world a model worth emulating. “What you saw was what she was, no pretense or prevarication. No good and self-respecting person would want to pick from List A, though the world is full of people who would have to if they were completely honest about it. What a dreadful shame to die never having lived a life that amounted to anything more! Intellectual integrity demands a logical consistency, not selective and self-serving application.  Let’s look more closely at those components from a liberty standpoint. You can certainly commit your life to many things—to God, to truth, to family, to the future, etc. They are not necessarily mutually exclusive. I just want to make the case here, building on the previous essay and the title of this book, Are We Good Enough for Liberty?, that liberty is right up there close to whatever the best thing is. That’s because, by definition, it makes it possible for you to fully commit to any or all of the other good things, and enjoy the benefits thereof without arbitrary hindrance. A life philosophy is made up of two components: The first is how you see yourself. The second is how you see (or interact with) others in society. Though these two components are distinct on the surface, they should actually be seamless and integrated, one with the other. If they weren’t, then your so-called life philosophy would be contradictory and schizophrenic—as if you had two lives and two philosophies. It would be like a thief arguing that theft is a good thing if he’s stealing from you but bad if you’re stealing from him. Intellectual integrity demands a logical consistency, not selective and self-serving application. Let’s look more closely at those components from a liberty standpoint. If I were a socialist or a communist, I’d probably see myself as someone else’s victim, or maybe as an insignificant piece of something more important—a mob, a group, a class, or whatever. I would likely subordinate myself to the collective will, as determined by some powerful, influential person with a megaphone. I would seek political power over others, as I convince myself of my own good intentions. I’d spend most of my time trying to reform the world and relatively little time attempting to improve myself. But I’m a lover of liberty—a libertarian, if you will—so I see myself as one-of-a-kind. I’m not exactly like anybody else who has ever lived, and neither are you. To be fully human—to be fully me—I need things like choice and responsibility. I needed a mommy at age 5, but certainly not at 25 or 65. Maybe on any given day, I’m a victim of somebody, but I’m in charge of how I react to that. If I let it paralyze me, I’m simply solidifying and reinforcing my victimhood. To be called “a common man” is no compliment because it’s not commonness that makes me who I am, but my uncommonness. I relish the best, the heroic, the man or woman who carves himself out of the rock of commonality. No matter how many times other people may tell me how or what I should think, I will think for myself. If that means coming to conclusions no one else agrees with, so be it. I’m especially eager to stand apart from the crowd when the crowd is wrong. I’m not so full of myself that I think I know enough or am sufficiently fit to manipulate others like pieces on a chessboard. I want to learn and grow, from now until I breathe my last. I happen to be a Christian, incidentally, so I believe God made me for a purpose. With His help, I will carry it out to the best of my ability. It may not be your purpose, but you didn’t make me and you can’t live my life for me—not peacefully, anyway. I will leave you alone if you leave me alone, and we’ll celebrate our differences in peace and commerce. All this is empowering—extraordinarily so! I can employ my uniqueness to make a difference in the world! I might even be able to change it profoundly, perhaps as much as those who led the fight to end the age-old institution of slavery! I’m not just another drone in the anthill, after all! I embrace the Golden Rule. I do my level best to treat others the way I would want them to treat me, which leads me to the second component of liberty as a life philosophy. I can be a superb parent, a fantastic teacher, a remarkable influencer, a great friend. I can invent, produce, and innovate. I can be a risk-taking entrepreneur, adding value to society. I can do things others won’t or can’t and in so doing, I might stimulate and embolden them, too. The sky is the limit, and I respectfully decline to live down to somebody else’s low expectations for me. Take charge of your life and even if it’s hard to be optimistic about society as a whole, you can still be optimistic for yourself and those you love and affect. This is how I think each lover of liberty should see himself. It’s certainly how I see me. And guess what? I would like nothing better than for you to believe the same about yourself. Freedom is what I want for me, and it’s precisely what I want for you (unless by your actions you forfeit the right). If I didn’t believe in liberty, I might trust nobody but myself. I might see you as an obstacle to be ruled or overcome rather than as a partner I can associate with for mutual benefit. Taken to an extreme that really isn’t all that infrequent, historically, my hostility to your liberty could devolve into tyranny—whereby you’ll do as I tell you because I think your purpose in life is to serve mine. But I’m a lover of liberty—a libertarian, if you will—so it would be an affront to my principles to do to you what I would never countenance you doing to me. I have enough respect for you that when we differ, my first resort will be to employ persuasion. Compulsion is always my last resort, if I use it at all. In any event, I will never initiate force. I will use it only in retaliation once you’ve proven yourself a threat by either using it against me or credibly threatening to do so. I believe it is a measure of my character that I deal with you from the loftiest of standards—with honesty, intellectual humility, patience, responsibility, mutual respect, courage, and self-discipline. Until you prove otherwise by your behavior, you are as entitled to those things from me as I am from you. I believe so strongly in those virtues of character, in fact, that I’m not going to let anybody’s lack of them be an excuse to let mine slip. As a lover of liberty, I respect your right to think otherwise and do otherwise. I respect your right to be different, to be more successful than me, to be better than me at anything and everything, for that matter, and to gain the rewards that others offer you in return. I will not resent you, envy you, drag you down, or try to forcibly make you what you’re not. And I will not hire politicians to do these things to you under the mistaken assumption that doing so absolves me of some or all of the guilt. I will never succumb to that most intoxicating of evil motives—power over others. I’m better than that, and you should be too. In a word, the contemptuous subordination of another person—the entertainment of such a thought, even when silent—spells self-destruction. The better world begins with that man who attends to his inner freedom. Would you have your counsel more widely sought? Emulate that man. To find the way, ask yourself this question: With whom would I rather dine tonight, that man or an angry, know-it-all person? Take charge of your life, accept all your responsibilities at home and elsewhere without hesitation. Get your mental attitude in shape: Have a healthy sense of humor, a good feel for both your strengths and weaknesses, a bubbly optimism and exuberance about making a difference in the world. Be a good citizen who respects the lives and property of others. You can’t expect to be free if you support making others less so. Make your life a nonstop learning journey—read and become as informed about freedom in all its aspects as you can possibly be. How we make our case is almost as important as the case itself. Rarely is it appropriate to come across in a hostile, confrontational, or condescending manner. It’s never fitting to be arrogant, shrill, or self-righteous. We should convey our ideas in the most judicious, inviting, helpful, and persuasive fashion possible. We should be magnets for every open-minded person willing to learn. We can have all the facts and passion in the world but if we lack people skills, we’ll just be talking to ourselves. As indispensable as liberty is to the progress of humanity, its future is never assured. Indeed, on most fronts, it has been in retreat for years—its light flickering against the winds of ignorance, irresponsibility, short-term gratification, and power-lust. That’s why it’s all the more important that those of us who believe in liberty become more effective spokespersons. Toward that end, I offer here the well-worn “top ten” list. These rules of thumb do not appear in any particular order. So I leave it to you, Dear Reader, to decide which ones are more important. I am convinced that liberty as a life philosophy offers so much that makes life fulfilling that we owe it to ourselves to be effective exemplars and spokespersons for it. 1. Get motivated. Liberty is more than a happy circumstance. It’s a moral imperative, worthy of every ounce of passion that good people can muster. It’s not just about getting keyed up in an election year or responding to some issue of the day. It’s always the difference between choice and coercion, between living your life or others living it for you (and at your expense). If liberty is lost, it may never be restored in your time or in that of your children and grandchildren. 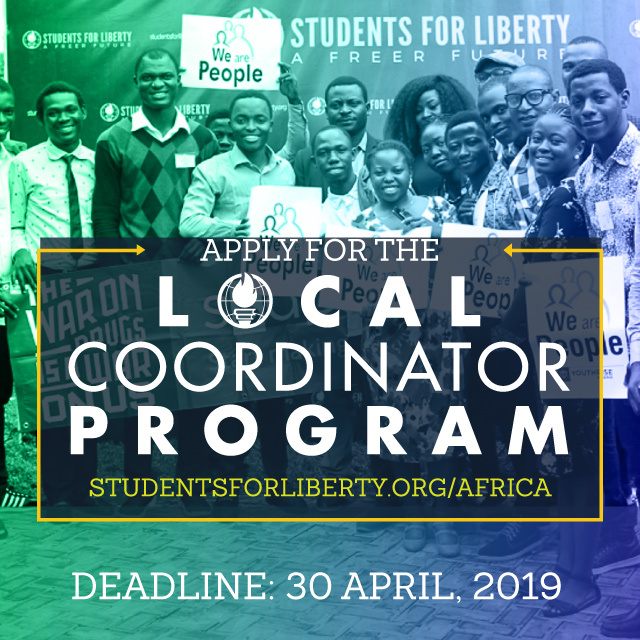 For solving problems, avoiding conflict, and bringing people together, there’s no worse course than politics and force, and no better path than liberty for peaceful exchange and cooperation to flourish. 7. Seize the moral high ground. Liberty is the one socioeconomic arrangement that demands high standards of moral character. It cannot survive if people are widely dishonest, impatient, arrogant, irresponsible, short-term focused, and disrespectful of the lives, rights, and property of others. This truth speaks volumes about the moral superiority of liberty over all other “systems.” Humanity is composed of unique individuals; it is not an amorphous, collective lump to be pushed around by elitists who fancy themselves our masters and planners. Any arrangement that purées our distinct lives in a collectivist blender is a moral offense. Use this argument to strike at the very heart of any opponent’s case. 8. Develop an appealing persona. A lover of liberty who knows all the facts and theories can still be repulsive and ineffective if he’s condescending, vengeful, coarse or crude, self-righteous, or often in “attack” mode. This is why Dale Carnegie’s classic, How To Win Friends And Influence People, should be on every libertarian’s “must-read” list. So should be Olivia Cabane’s excellent volume, The Charisma Myth. Do you want to change the world or just beat your breast? Talk to others or talk to yourself? And slow down on the negativity! Some of us only talk about bad news. These are the folks who see nothing good happening anywhere. This attitude comes across as if they’re telling you, “Stop having fun. The only good news is that there isn’t any. If you think there is good news, we’ll tell you why it isn’t.” This attitude wears badly and rarely wins converts. Heroes and heroic stories are all around us; don’t ignore them by dwelling on the scoundrels and the disappointments. 9. Don’t demand total and immediate acceptance. Have you ever run into a libertarian who lets you know that unless you fully confess all your intellectual sins and repent on the spot, you’re a pariah? The history of progress in ideas provides few examples of wrong-on-everything transforming into right-on-everything in a momentary leap. We must be patient, inviting, and understanding. Know when the cracks are appearing in an opponent’s wall and give him room to tear it down himself. Remember that all of us hold views today that we didn’t accept in our past. None of us came out of the womb with a copy of Hayek’s The Road to Serfdom in our hands. 10. Make allies, not enemies. A handful of cloistered, ineffective—but noisy—libertarians fancy themselves arbiters of the faith. They behave as though the greater enemy is not those who embrace no libertarian precepts at all, but rather those who embrace many, but not all, libertarian precepts. So when they find a fellow libertarian who once held different views, or departs from orthodoxy on an issue or two, they start to vilify him. It makes them feel good but works against the larger cause. If we say we want to make the world a better, more liberty-loving place, we can’t make it painful for anyone to move in the right direction. So, are we in fact good enough for liberty? That question is best answered not in a collective fashion, but in a profoundly personal way—one man or woman at a time.